Adorn your wrist with sunny citrine. Sterling silver, ten 12mm links set with 5mm citrine cabochons (approx 3.6ct in total). 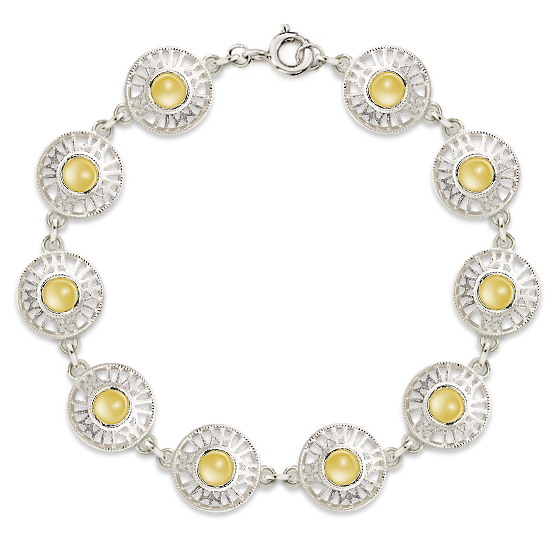 Be the first to review “Stonegate jewelled citrine bracelet” Click here to cancel reply.